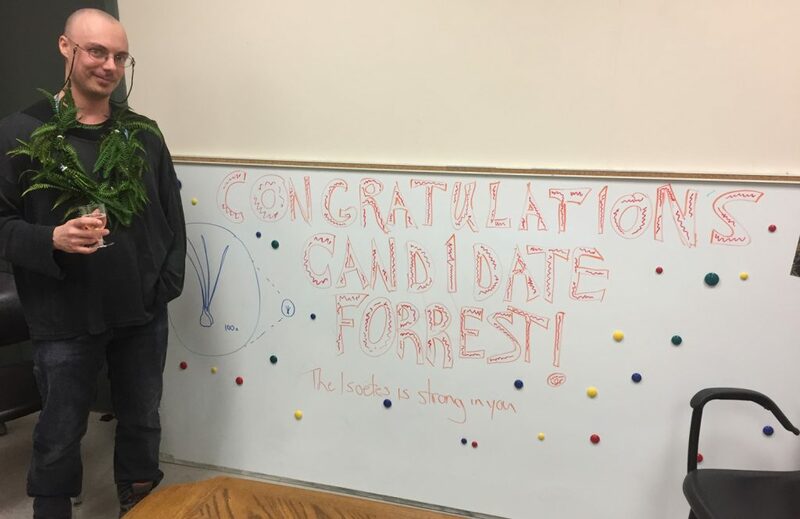 Forrest makes history by becoming the first Rothfels lab PhD candidate–congratulations Forrest, and well deserved!! Forrest relishes his advancement to candidacy with a rare glass of champagne. You know Forrest is happy when! Note also the life-size Isoetes illustration. 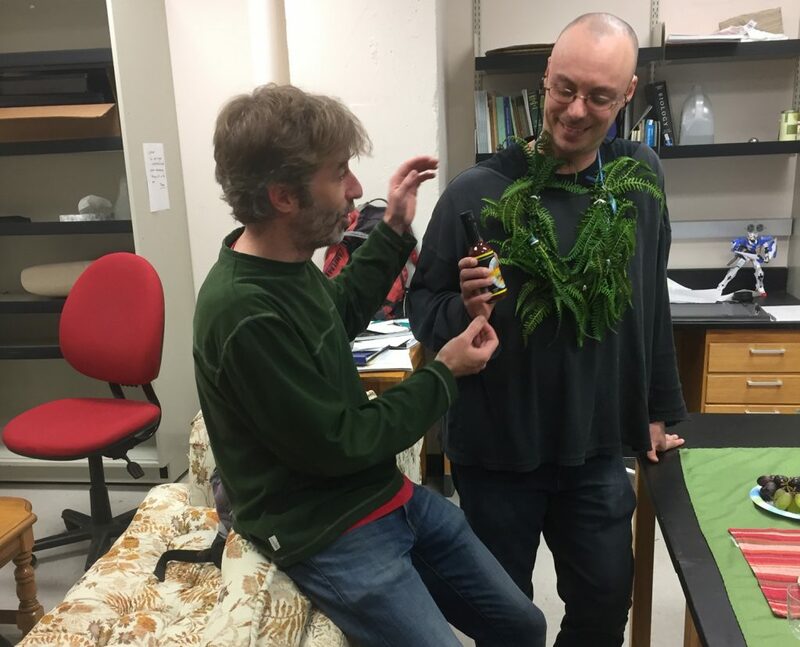 Forrest accepting his Ceremonial Candidacy Fern Boa. He wore it well. 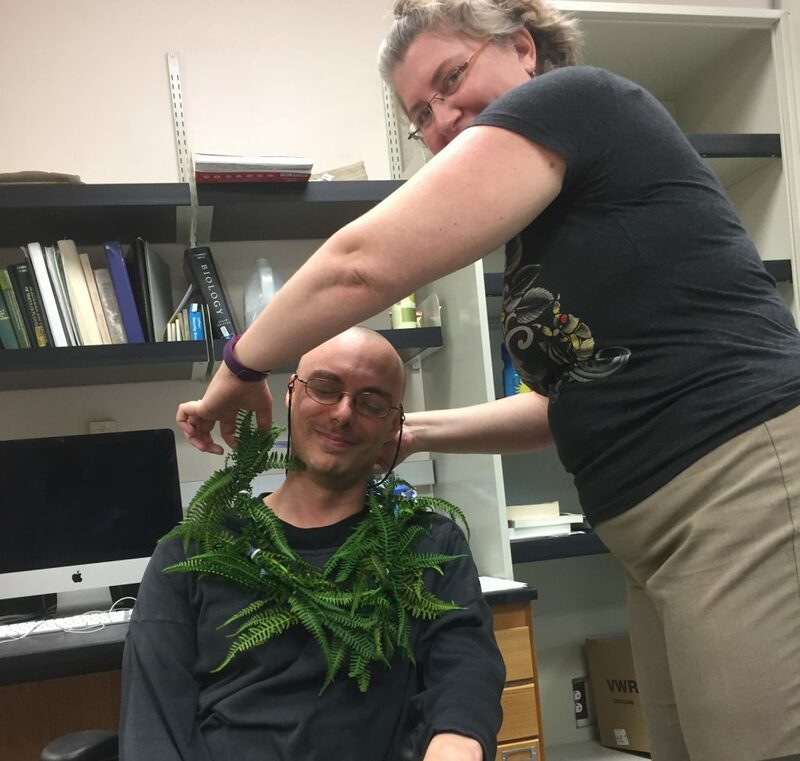 The Rothfels lab and associates, circa April 2017. 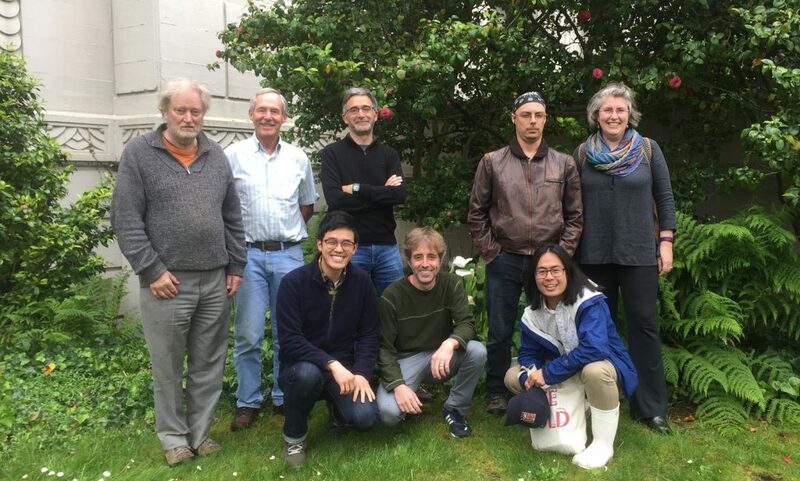 Standing, L to R: John Game, Alan Smith, Paco Perfectti, Forrest Freund, Ingrid Jordon-Thaden; crouching (tigers): Gahun Boo, Carl Rothfels, Mick Song. Forrest is excited about having his photo taken, and Mick–those boots! Amazing. (Note the artfully arranged Athyrium).